@foxytld is on Carousell - Follow to stay updated! Stunning Candy & Cuba dress. 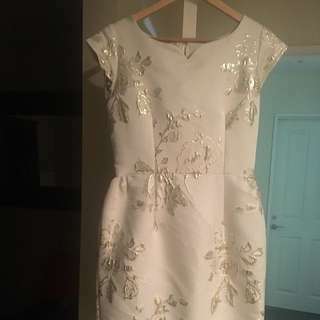 Brand new, never worn, tags still attached. Stunning cream in colour, with gold raised type floral detail. Cap sleeve, mid calf in length, small split detail at back. Zip at back. 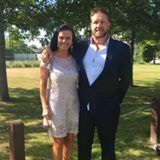 Only selling as too big...as it's a large size 10, more 12. 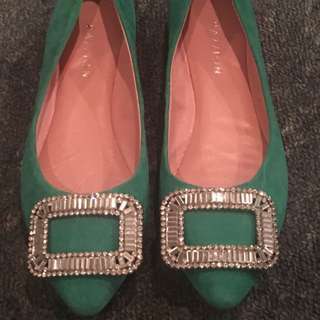 Very pretty Pazzion Buckle (diamanté) Ballerina Flat, colour green. Soft suede calf leather upper, rounded toe, padded footbed, square buckle detail. Only worn a couple of times. 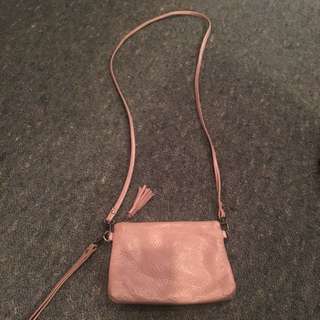 Hermes over the shoulder/cross over chest, leather small clutch handbag, long strap, with polyester lining, zip pocket inside and card pockets. Fine floral detailing on leather front, plain in back, tassel on zip closure. Only used once, in excellent condition. Brand new, never worn Zara stiletto shoes, suede leather upper and leather lining. 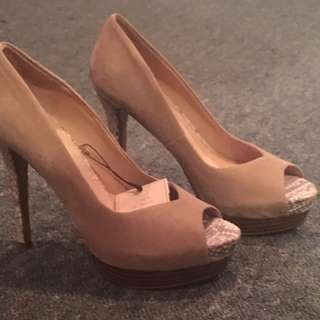 Light camel colour with contrast snakeskin look in peep toe and heel.